At Minnesota Hair we carry a variety of products for a variety of haircuts and hairstyles. We offer products from Abba, Tressa, Kenra, Redken, Paul Mitchell, Loma (organic), Tridesign, Crew, Layrite, Sukesha, and Aquage. We are always trying and testing new products to give customers a better product for their needs. Kenra is by far our most popular product amongst women. 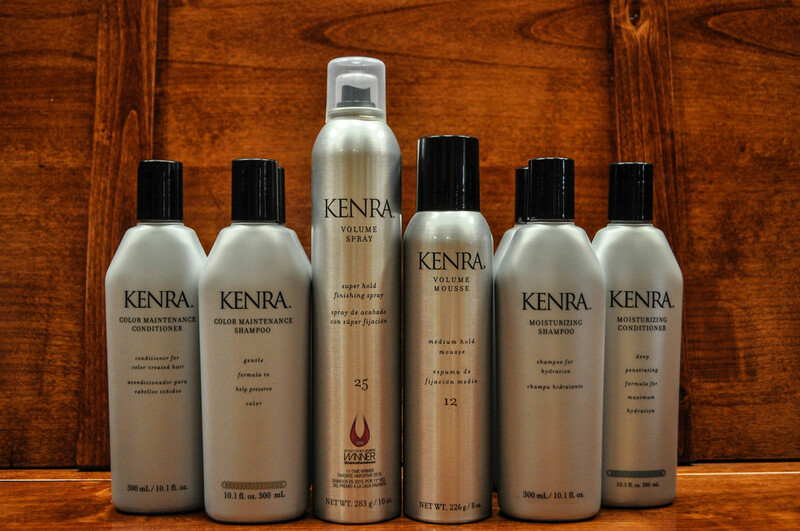 Kenra products offer professional quality shampoos, conditioners, hair sprays, and mousse's that are unmatched in the beauty industry. We highly recommend Kenra for people with colored or heat treated hair. Layrite deluxe pomade is our newest and hottest product. It holds like wax and washes out like a gel. Layrite's various pomades all hold at varying intensities and all look and smell great. We carry the Original, the Super Hold, the Cement Hair Clay, and the Super Shine Hair Cream. Layrite is one of the finest products we have ever sold and is perfect for a modern style on a classic look. Tressa shampoos and conditioners are one of Minnesota Hair's longest running products. Tressa products are perfect for a variety of hair types and age groups. In fact, most of our shampoo sets and styles are done right in the salon with Tressa as the product of choice.